It’s shocking how little effort it actually takes to be more successful than your competition. 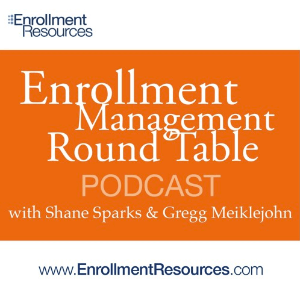 In this episode, Gregg, Shane, and Tom of Enrollment Resources are joined by special guest Brian Willett to show you how your school can catapult over your rivals through strategic and compounding one percent improvements! This is the full transcript of Podcast #46 “How 1% Improvements Can Translate Into Millions Of Dollars” hosted by Gregg Meiklejohn, Shane Sparks, Tom King and special guest Brian Willett. Listen to it on demand here. This is the full transcript of Podcast #45 “The Anatomy of a Rockstar DOA” hosted by Tom King and Scott Spitolnick. We have this cool, free five-minute process we call Lost Revenue Finder. 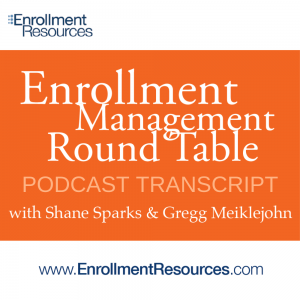 Through it, we can find out if you’re losing millions of dollars in Enrollment Revenue due to small oversights within your Enrollment Management process. Click here to try Lost Revenue Finder yourself. We usually run this exercise one-to-one, but we thought it would be fun to ask listening schools to try it live. Innovation is the best way to give your school a lasting and defendable competitive advantage. Yet most schools operate in largely the same manner as their competitors, preserving stale processes simply because “that’s how things have always been done.” Wouldn’t you rather your school be known as the Apple Computer or Tesla of your sector? Take the first steps toward small changes that will have a substantial and lasting impact at your school. Listen now! Please register to access podcasts. © 2019 Enrollment Resources Inc.